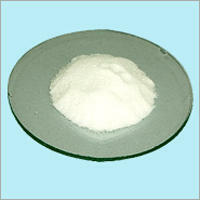 Leading Manufacturer of colistimethate sodium from Gurgaon. Colistimethate sodium (colistin methanesulfonate sodium, colistin sulfomethate sodium) is used to treat pulmonary infections, especially in cystic fibrosis daily. Colistimethate sodium is used to treat pulmonary infections, especially in cystic fibrosis. Colistimethate also known as polymyxin E, is an antibiotic produced by certain strains of the bacteria Paenibacillus polymyxa. Colistimethate is a mixture of the cyclic polypeptides Colistimethate A and B and belongs to the class of polypeptide antibiotics known as polymyxins.Colistimethate is effective against mostGram-negative bacilli. Colistimethate is a decades-old drug that fell out of favor due to its nephrotoxicity. It remains one of the last-resort antibiotics for multidrug-resistant Pseudomonas aeruginosa, Klebsiella pneumoniae, and Acinetobacter. NDM-1 metallo-β-lactamase multidrug-resistant Entero bacteriaceaehave also shown susceptibility to Colistimethate.